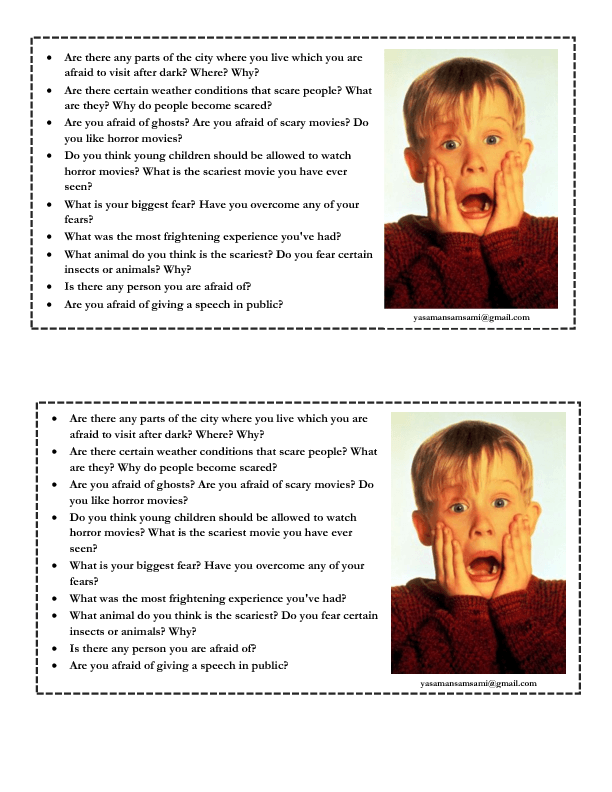 This PDF includes some questions about fear. You may find it useful in speaking classes. Hope it helps. A Fear or a Phobia?